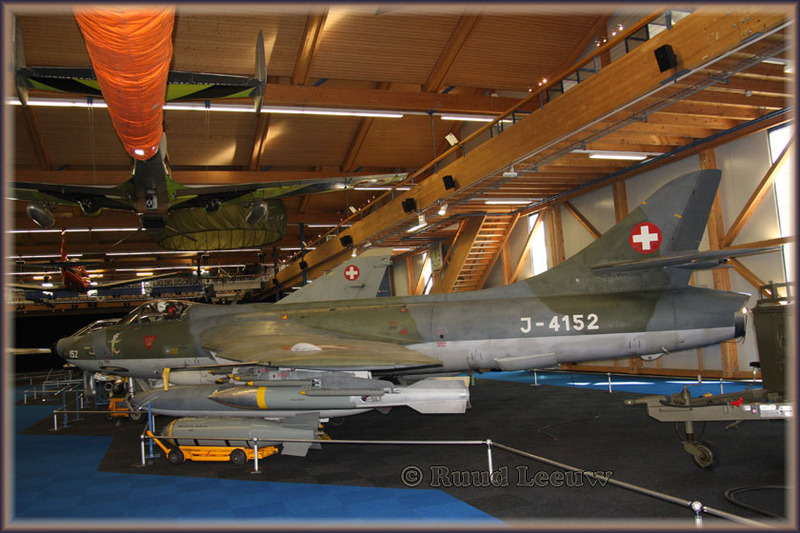 On Saturday May 23rd, 2009 I had a brief opportunity to visit the 'Flieger Flab museum', which is located near Zurich, in Switzerland. 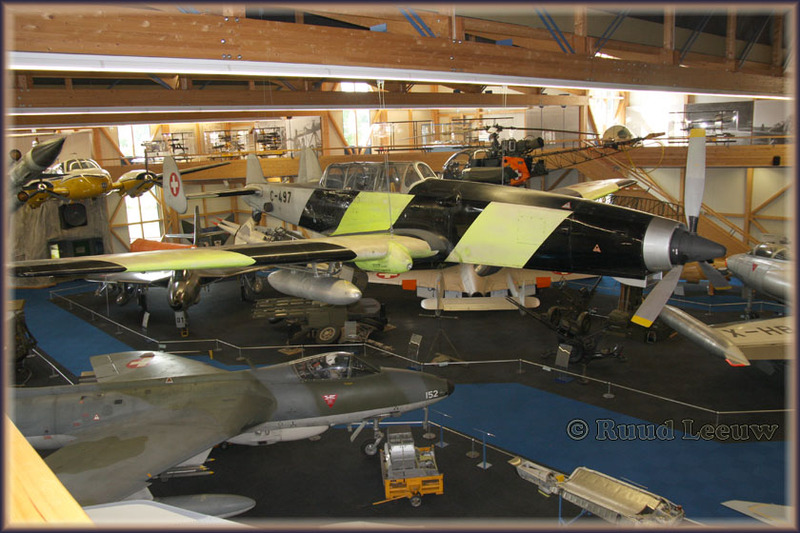 Inside two large halls, an interesting collection is on display. 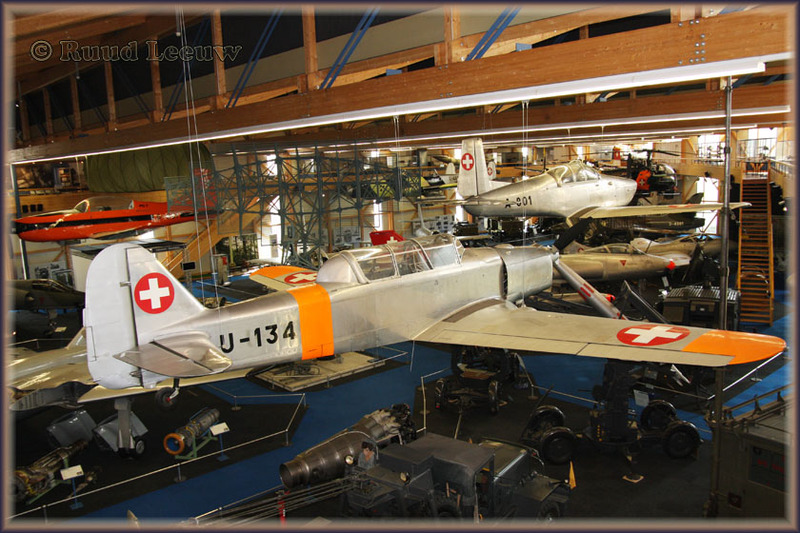 The aircraft collection is considerable but care has been taken to make the museum not too crowded. 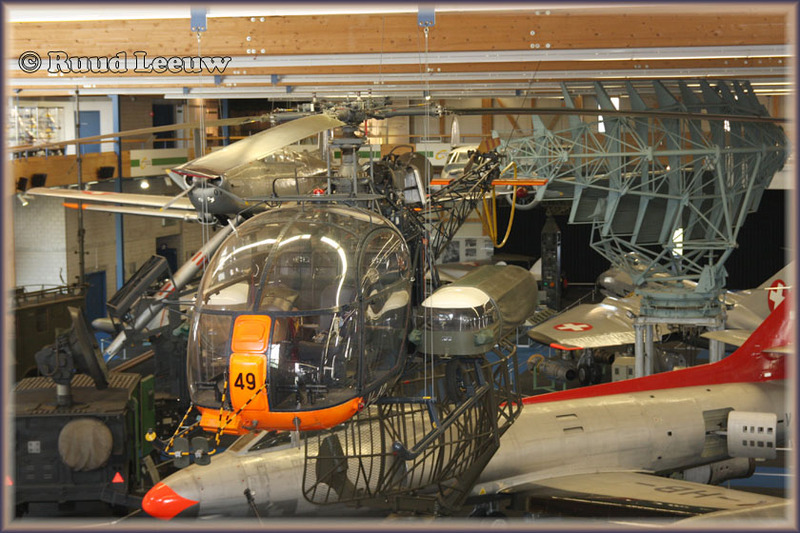 A number of aircraft have been hung on the ceiling, while others have been placed in periodic setting or with mannequins bringing the aircraft more 'alive'. 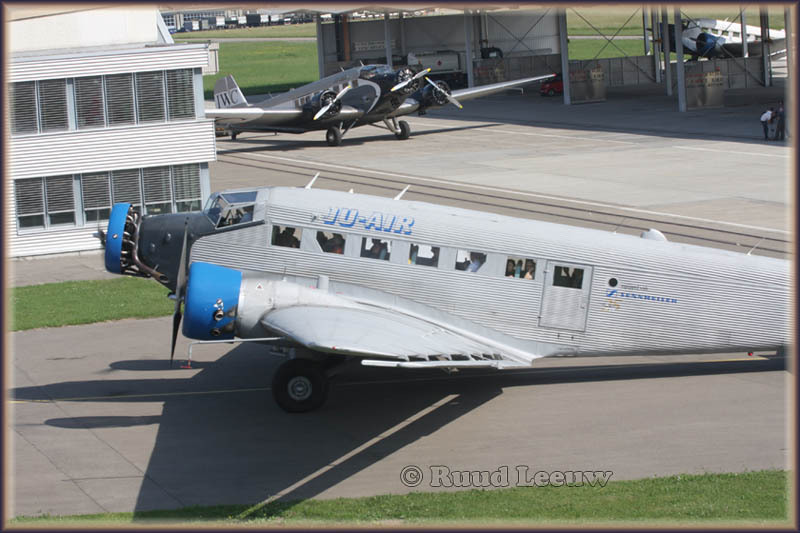 Ju-Air has three Junkers Ju.52s and one was doing brisk business, performing 3 flights while I was there in the morning. 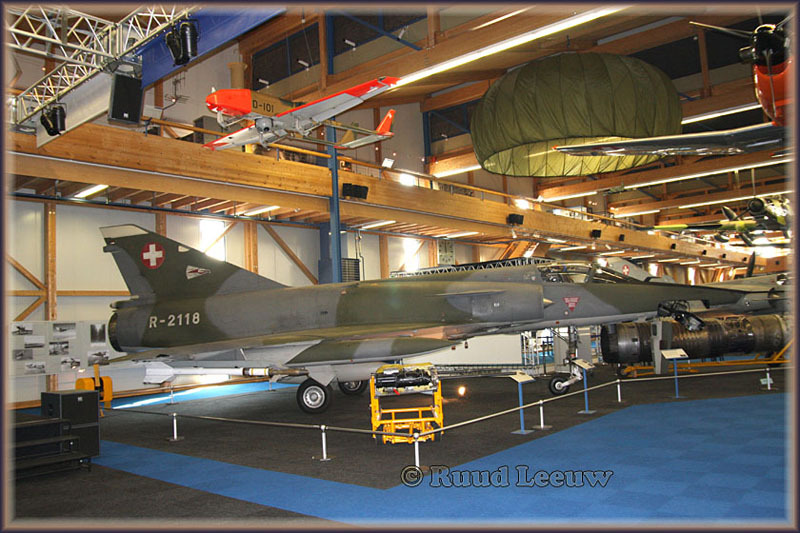 I hope my photos of the aircraft I found on display will encourage others to visit this air museum. 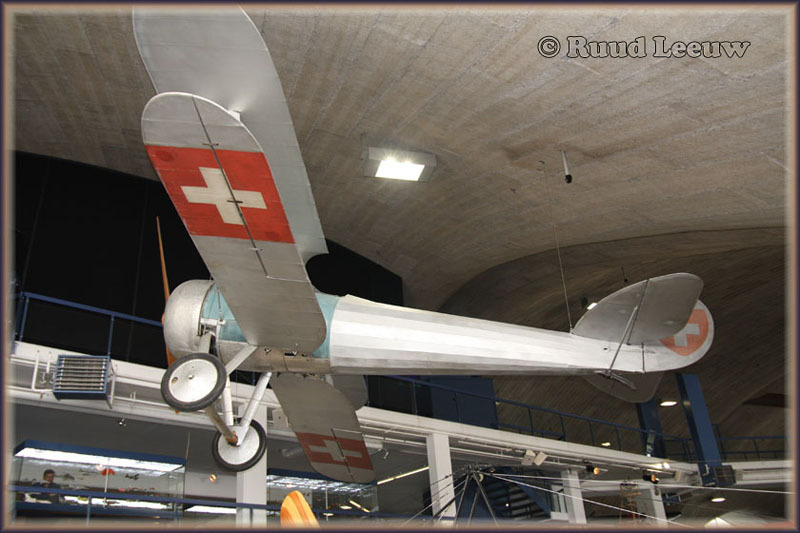 The Häfeli DH-1 was an 1910s Swiss two-seat reconnaissance aircraft, built by the aircraft department of the Federal Construction Works (Eidgenössische Konstruktions-Werkstätte, K+W) at Thun, Switzerland. 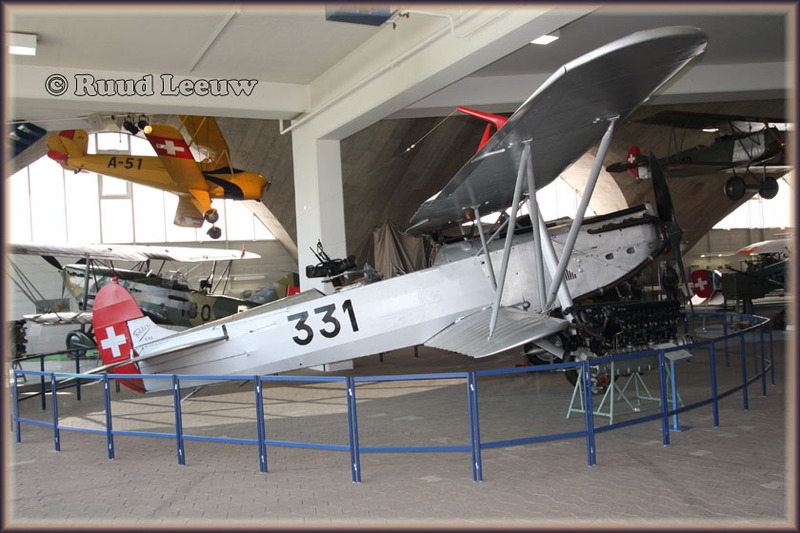 The DH-1 was a three-bay biplane of wood and fabric construction, it had a fuselage pod with tandem seating for the two-man crew and twin booms mounting the tail. 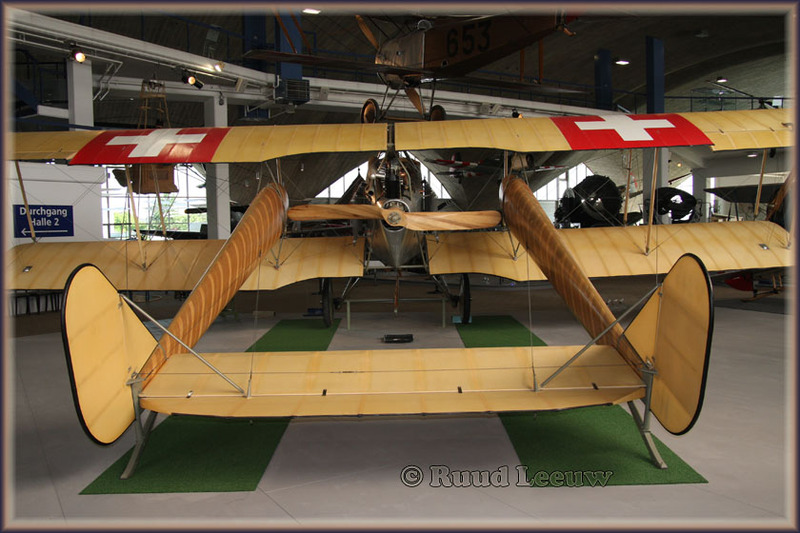 Following the poor performance of the DH-2, August Häfeli designed an improved version the Häfeli DH-3. 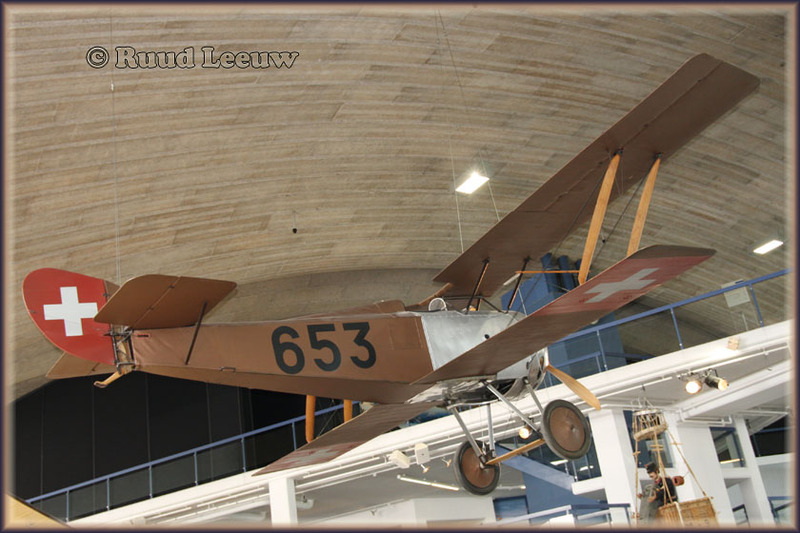 It was basically the same airframe as the DH-2, the upper wing had a cut-out to give a greater field-of-fire for the pivoted machine-gun. 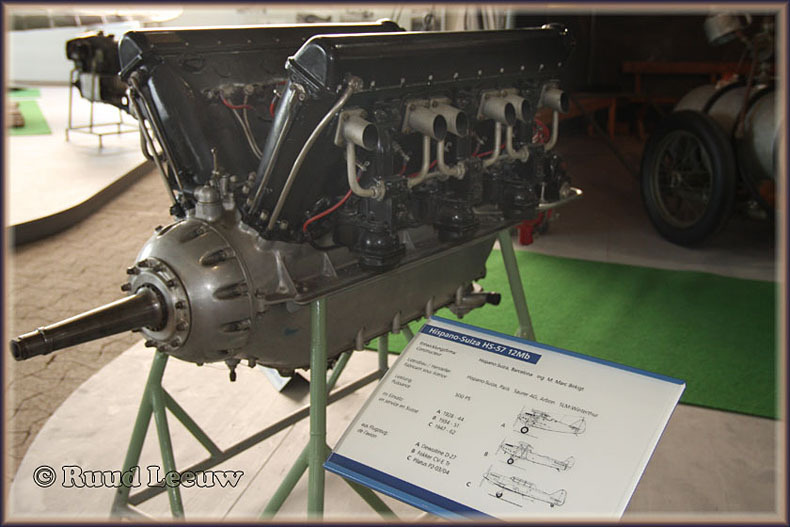 It was a two-bay of wood and fabric construction, powered by a 120 hp (89 kW) Argus As II water-cooled inline engine. 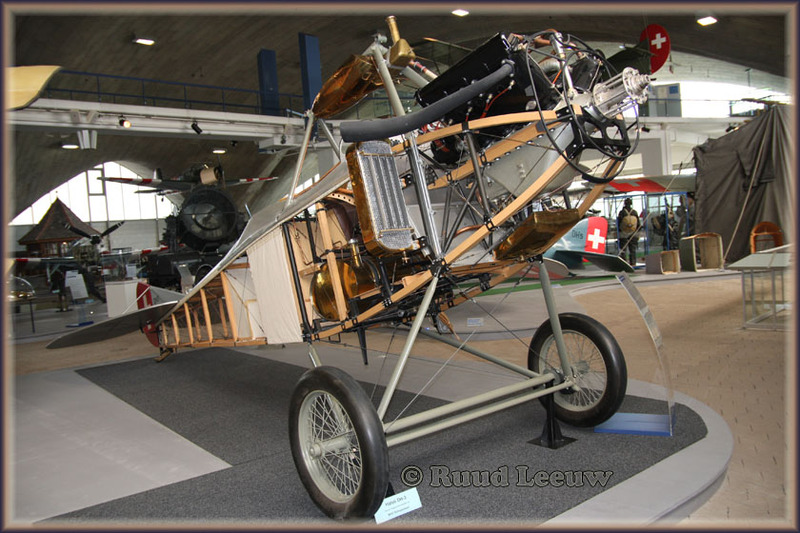 The Häfeli DH-5 was a 1910s Swiss two-seat reconnaissance aircraft, built by the aircraft department of the Federal Construction Works (Eidgenössische Konstruktions-Werkstätte, K + W) at Thun, Switzerland. 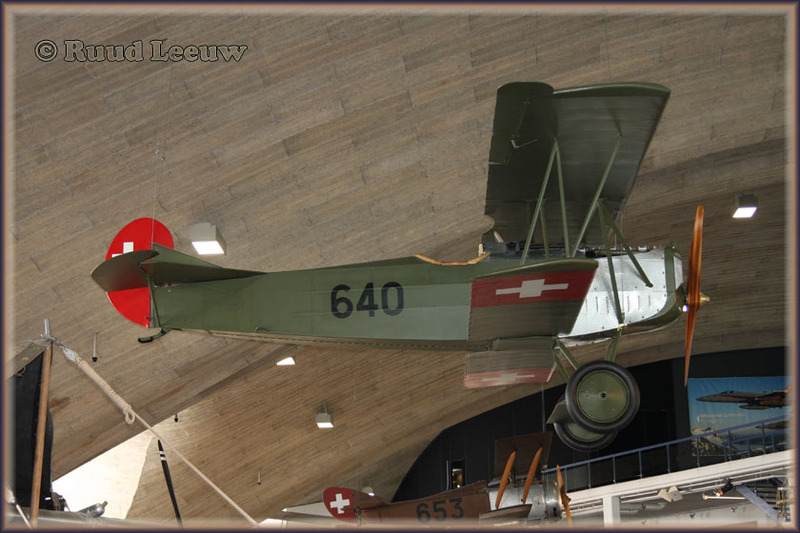 The DH-5 was a single-bay biplane of wood and fabric construction. 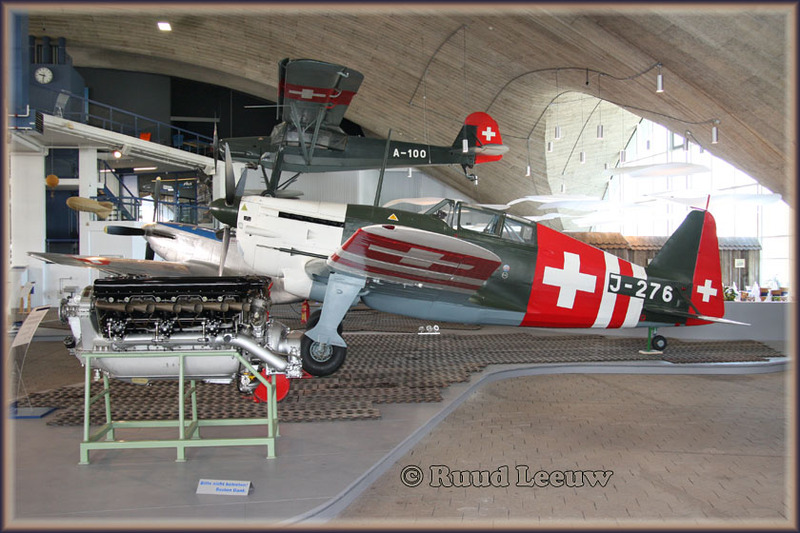 The aircraft was powered by a 180 hp (134 kW) LFW I engine produced by the Swiss Locomotive and Machine Works. 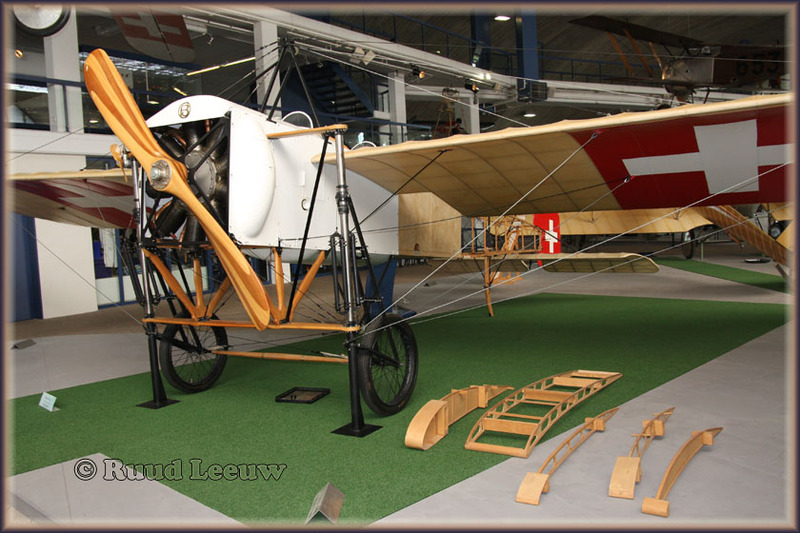 Test flying of the prototype commenced in March 1919 and 39 were ordered. 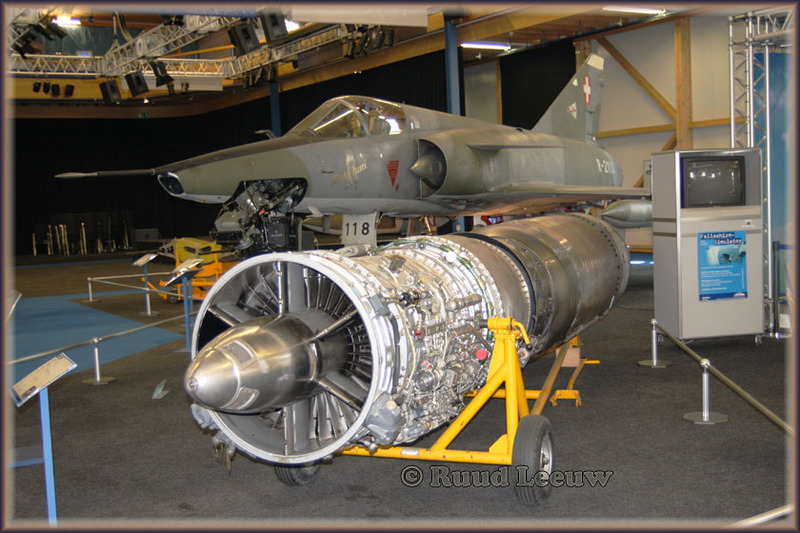 A second batch of 20 aircraft were powered by a 200 hp (149 kW) LFW II engine. 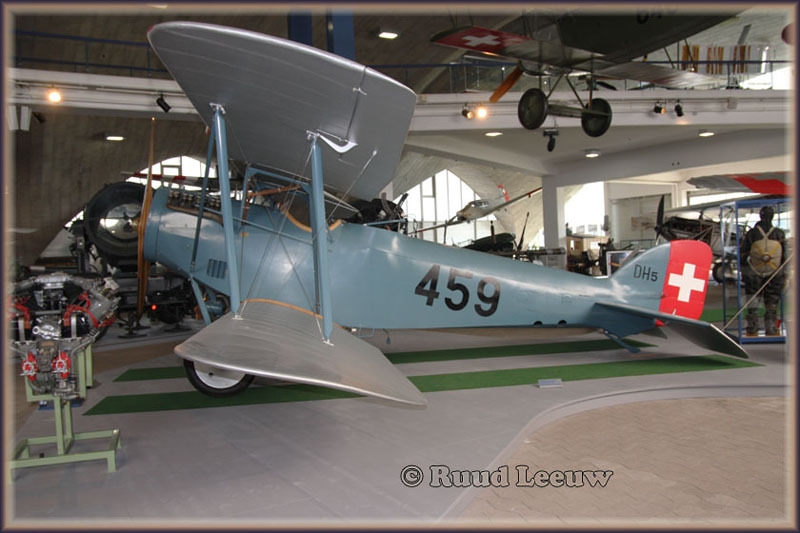 A further batch of 20 aircraft designated the DH-5A used the LFW III engine. 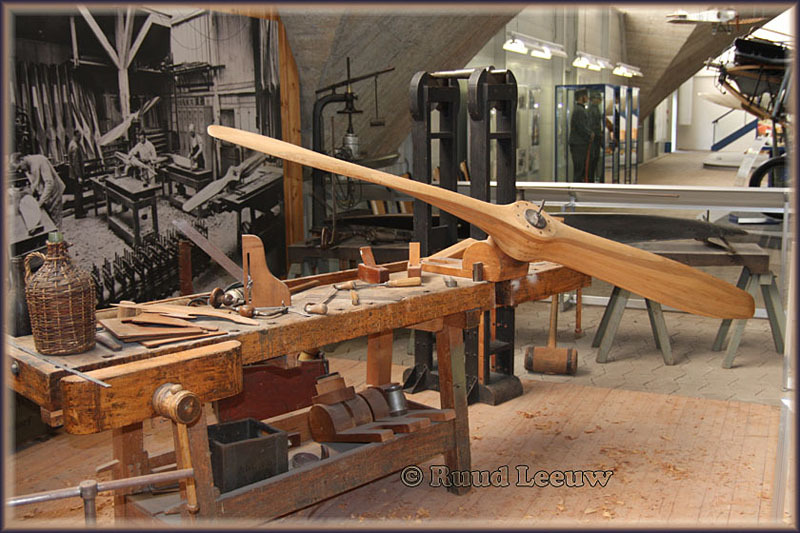 The workshop, with obviously a propellor in its final stages of restoration (or a full replica). 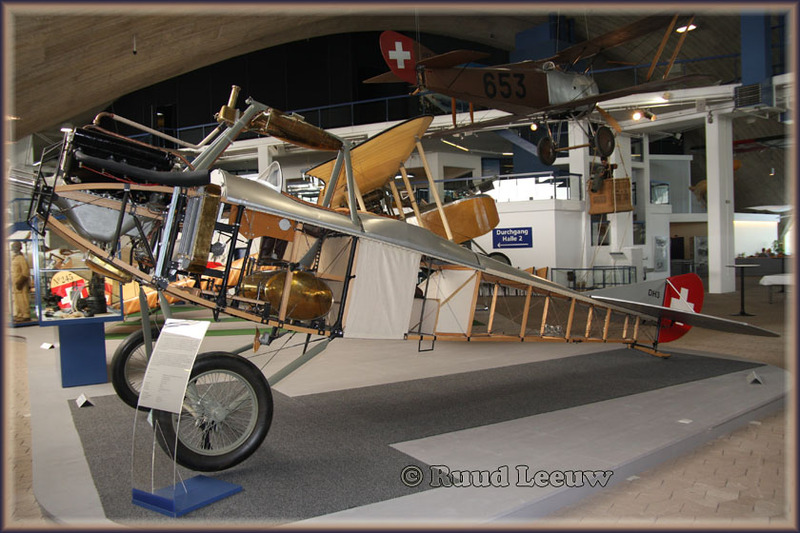 Constructions Aéronautiques Émile Dewoitine was a French aircraft manufacturer established by Émile Dewoitine at Toulouse in October 1920. 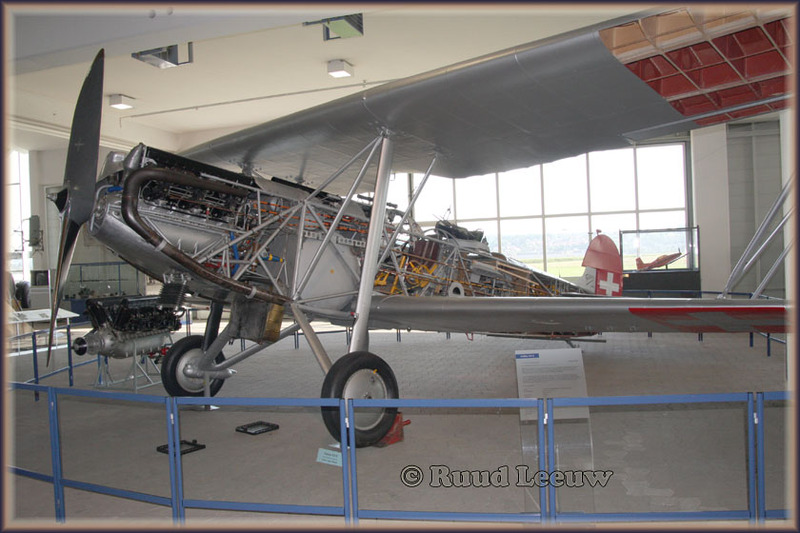 The company was liquidated in January 1927, with the only remaining active programme (the D.27) being transferred to EKW in Switzerland. 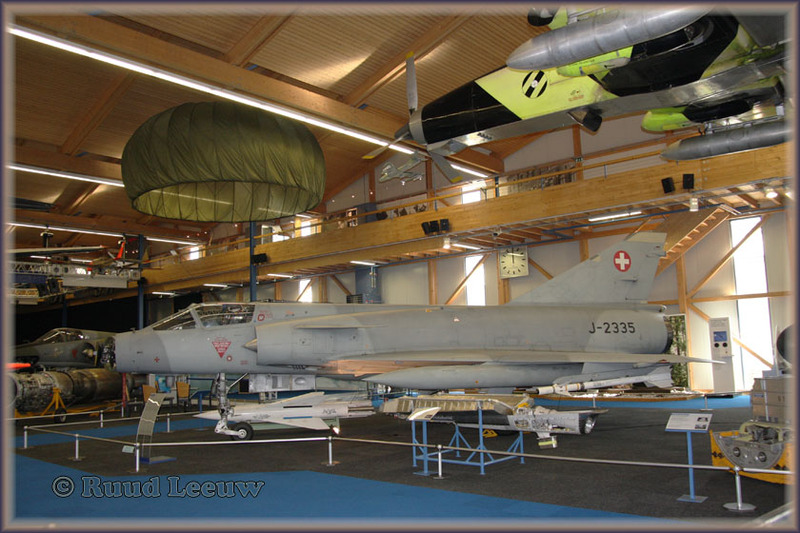 The company was re-established in Paris in March the following year as Société Aéronautique Française (Avions Dewoitine) or SAF. 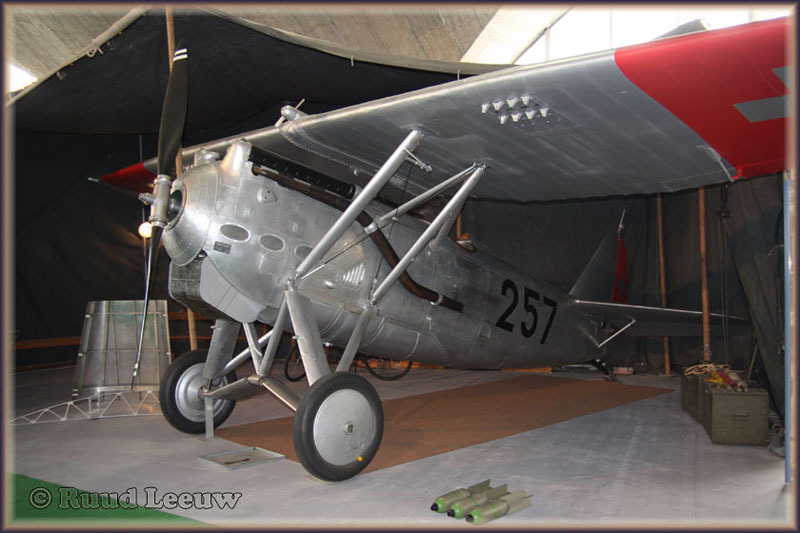 After briefly continuing D.27 production, the reconstituted firm produced a range of fighters that became a mainstay of the French airforce during the 1930s, the D.500 family. 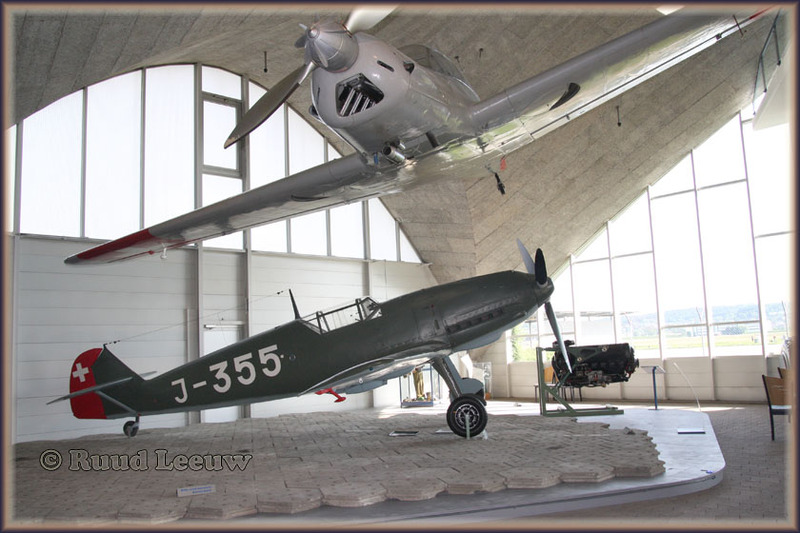 The firm was nationalised in March 1937 into the short-lived SNCA du Midi or SNCAM, and produced the D.520 as France's best-performing fighter at the outbreak of war, albeit in too small numbers to pose any serious opposition to the Luftwaffe in the Battle of France. 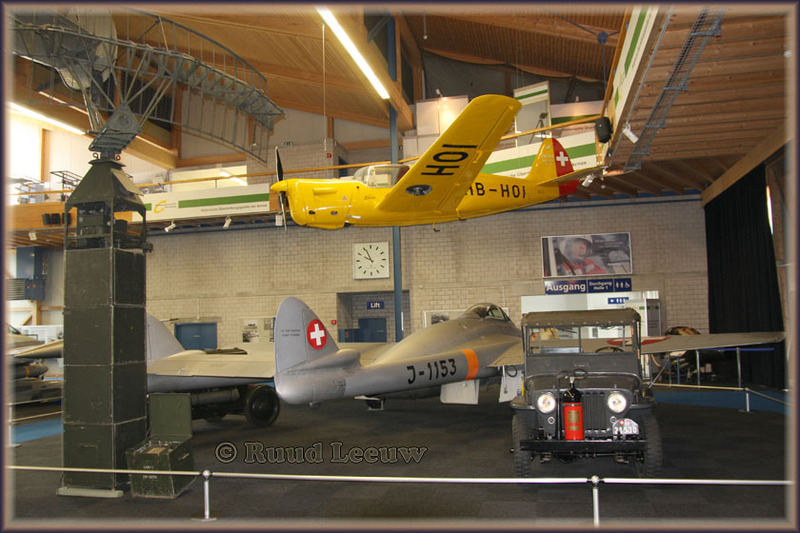 The final end of Dewoitine as a recognisable entity was its absorption into SNCASE in December 1940. 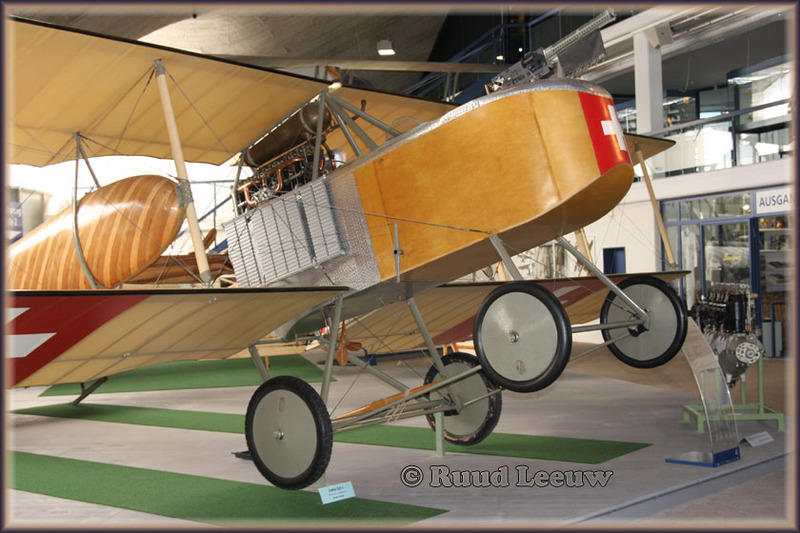 On the power of its 110 hp Le Rhone rotary it was not outstandingly fast, but it was very manoeverable and proved popular with pilots as a safe and pleasant aircraft to fly. 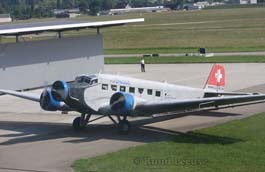 Bücker-Flugzeugbau GmbH was a German aircraft manufacturer founded in 1932. 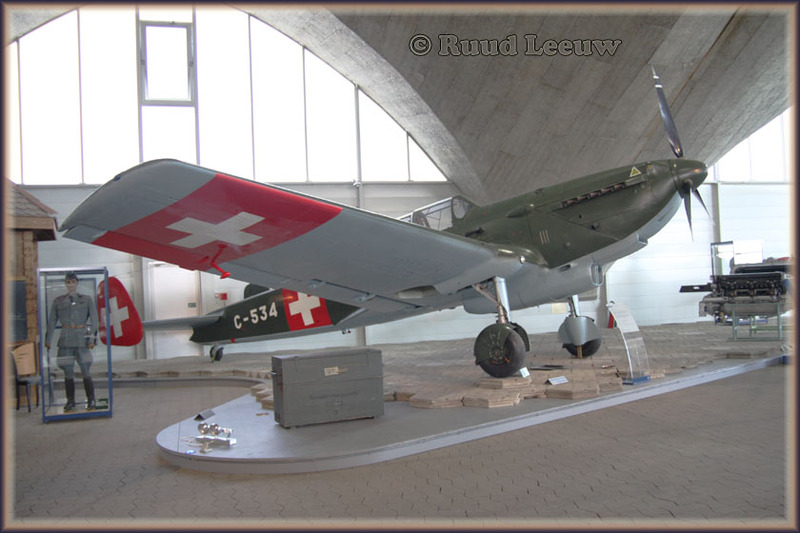 It was most notable for Its highly regarded sports planes which went on to be used as trainers by the Luftwaffe during World War II. 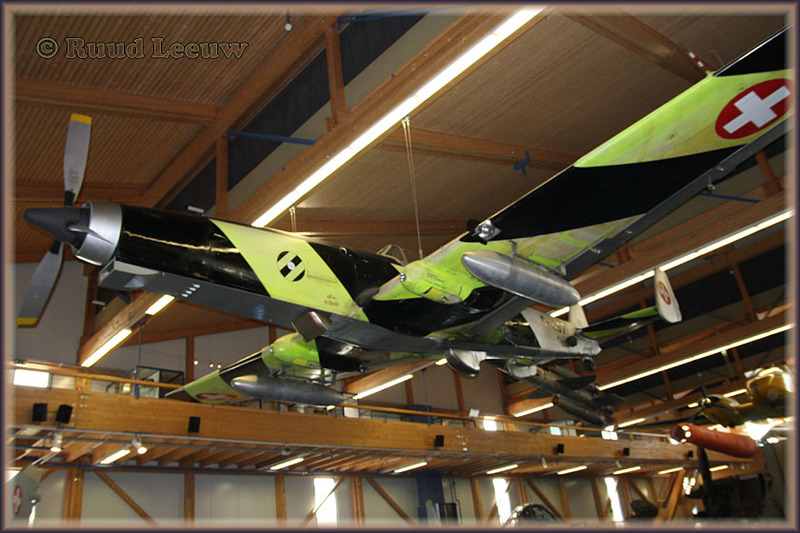 The company was founded by Carl Bücker, who had served as an officer in the German Navy during World War I and then spent some years in Sweden establishing the Svenska Aero factory. 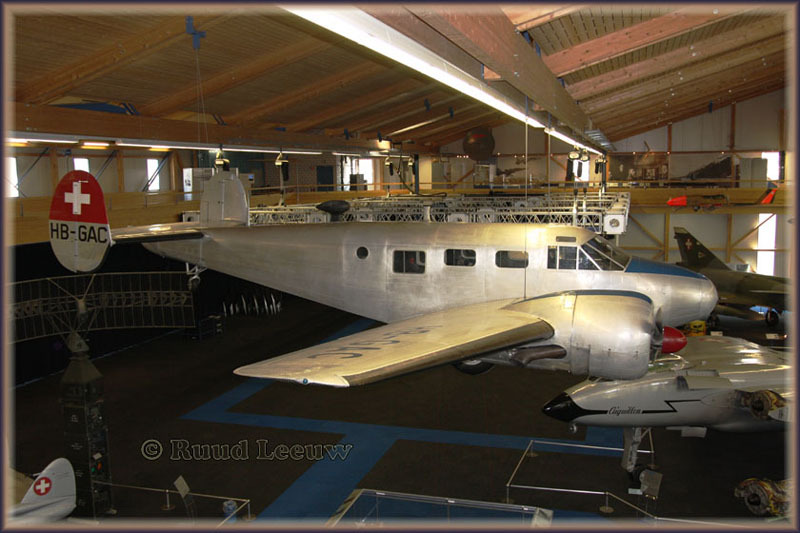 With the sale of this business at the end of 1932, Bücker returned to his native Germany where he opened his new factory in Johannisthal, Berlin in 1934. 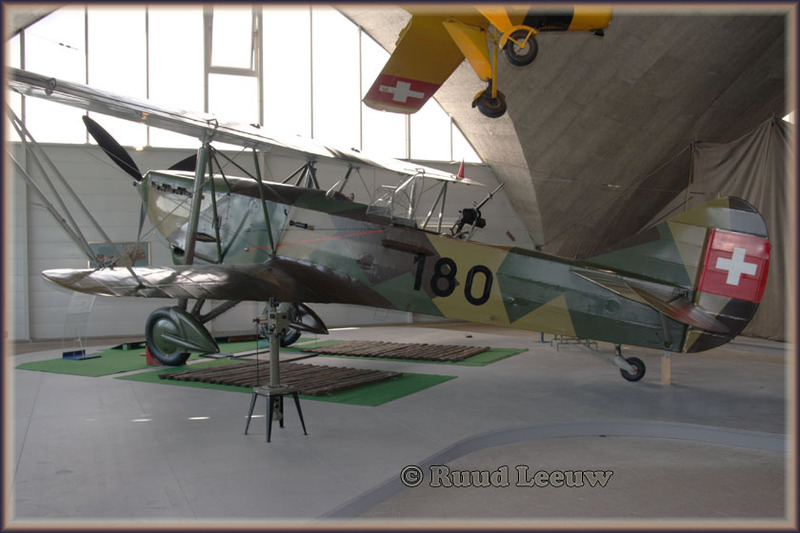 Bücker's three great successes were the Bücker Bü 131 Jungmann (1934), the Bü 133 Jungmeister (1936) and the Bü 181 Bestmann (1939). 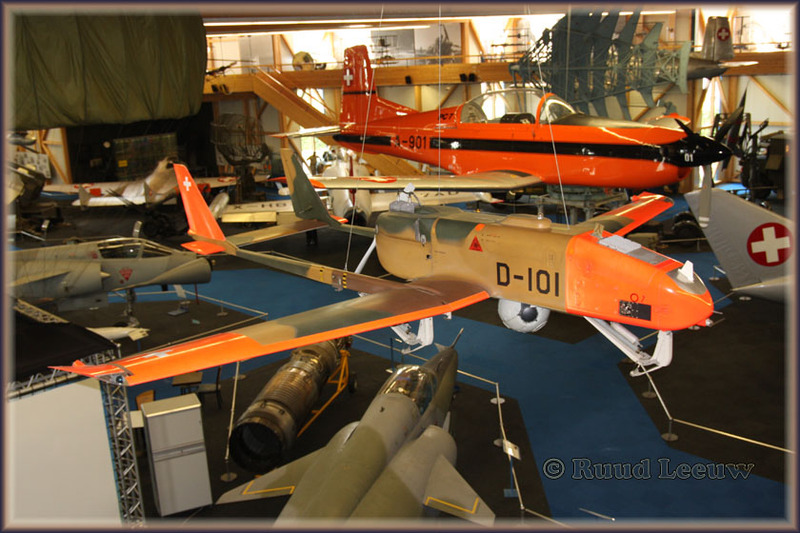 As well as these, the company built designs from several other manufacturers under licence, including the Focke-Wulf Fw 44, the DFS 230, and components for the Focke-Wulf Fw 190, Junkers Ju 87, and Henschel Hs 293. 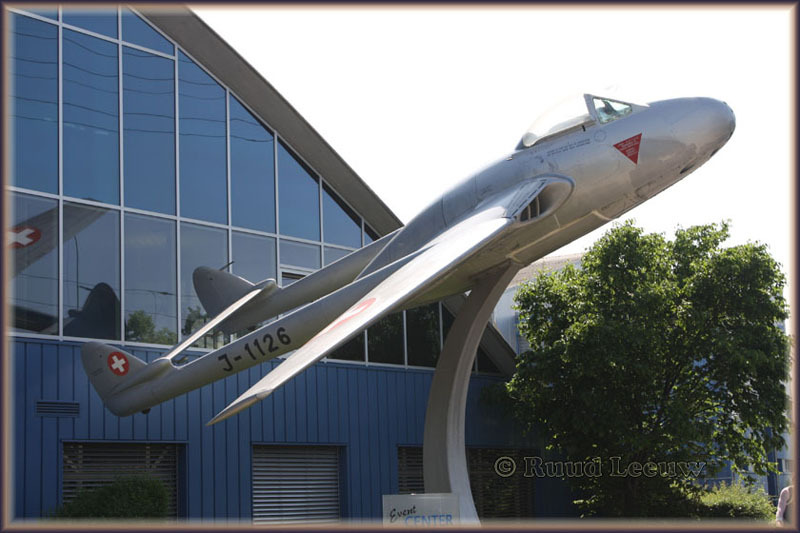 At the end of World War II, the company’s premises fell into the Soviet occupation zone, and were seized. The company was then broken up. 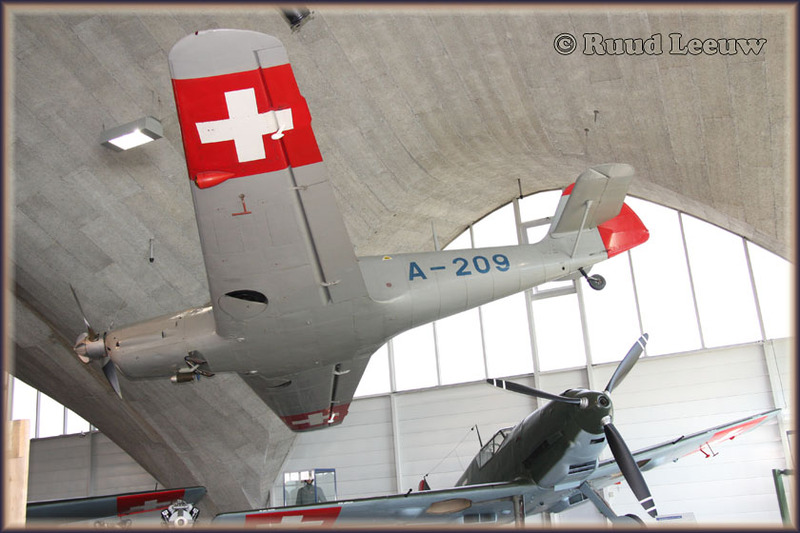 Pilatus Aircraft Ltd. is an aircraft manufacturer located in Stans, Switzerland. 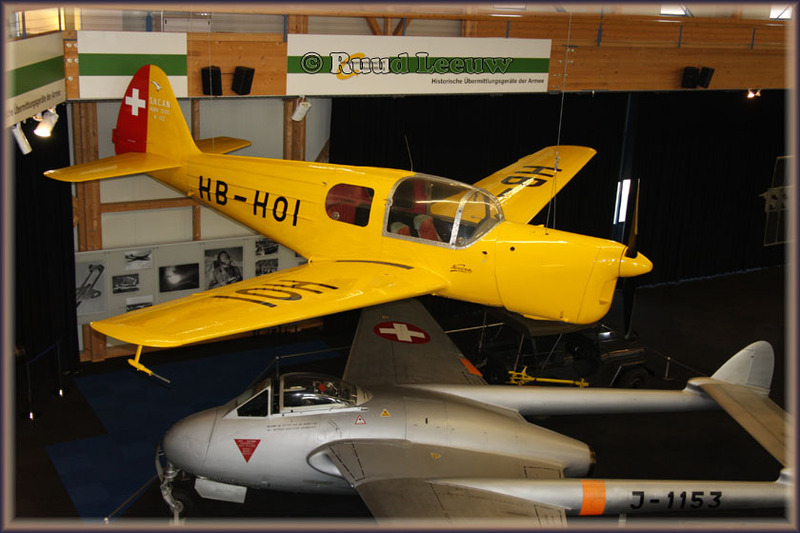 The company was established in 1939, but it was not until 1944 that a Pilatus-built aircraft, the SB-2 Pelican, first took to the air. 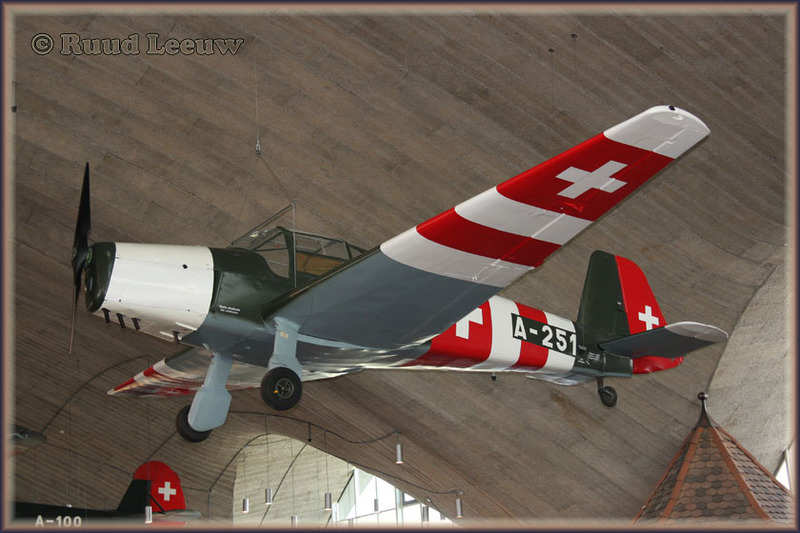 Soon after, in 1945, Pilatus started producing the P-2 trainer for the Swiss Air Force, of which 54 were built. 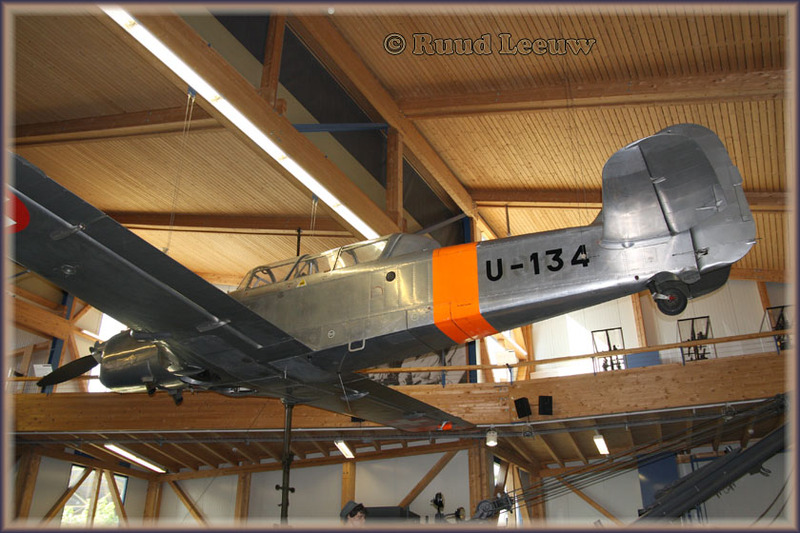 Beech G18S "Twin Beech" HB-GAC c/n 8434. 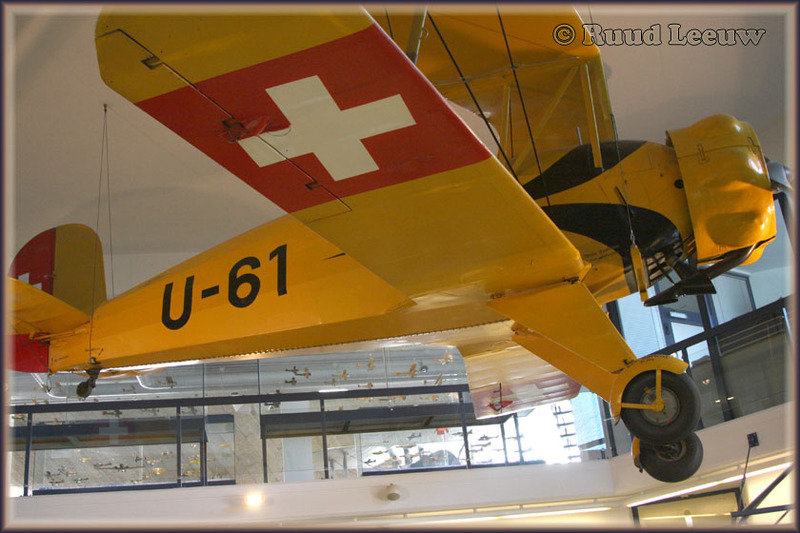 > C/n 8434 became N8039H and was for many years was at Duffy Aircraft> Parts in Denver. 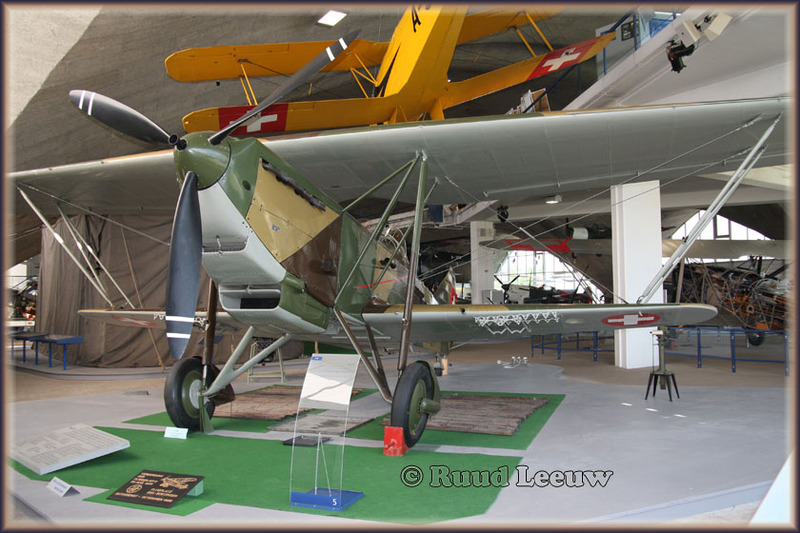 > C/n 8343 went to the Italian AF in 1949 as MM61644 & displayed at> Ditellandia Aqua Park in '97. 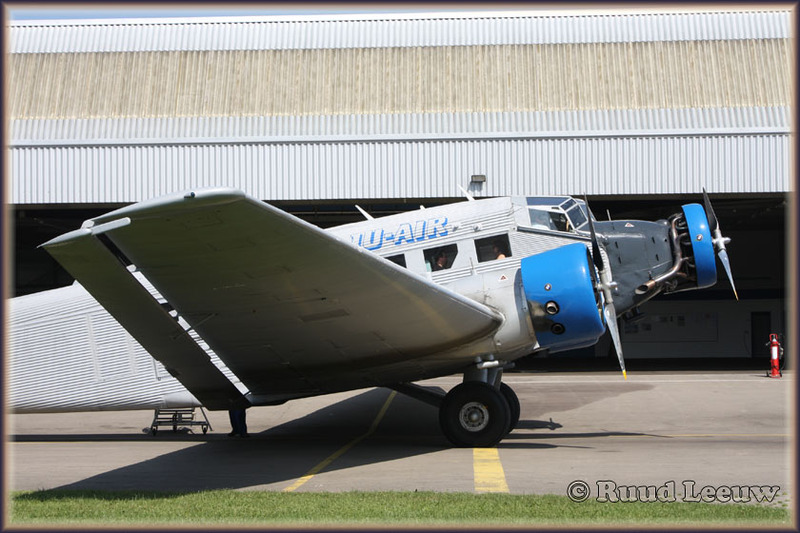 This Beech C-45F has the following previous identities & history: USAAF 44-87103 Compl 10Apr45 & delivered to New York. 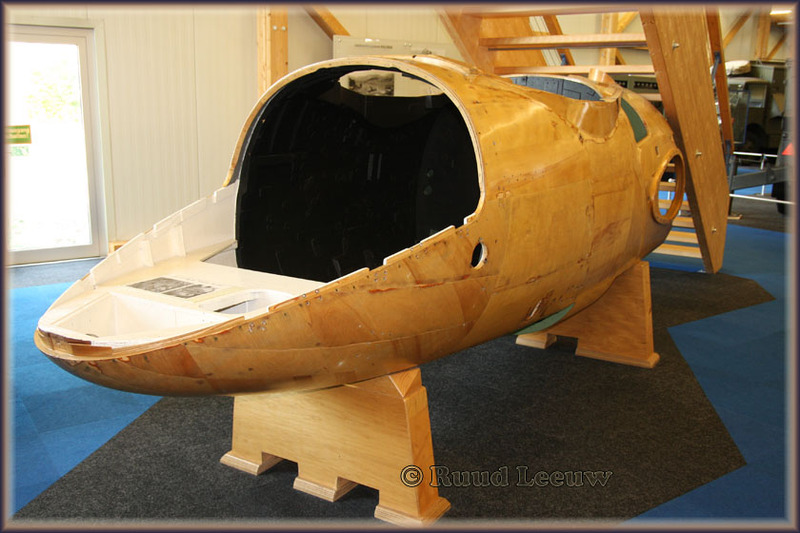 Crated &> departed 09Jun45 for AAF in Karachi. 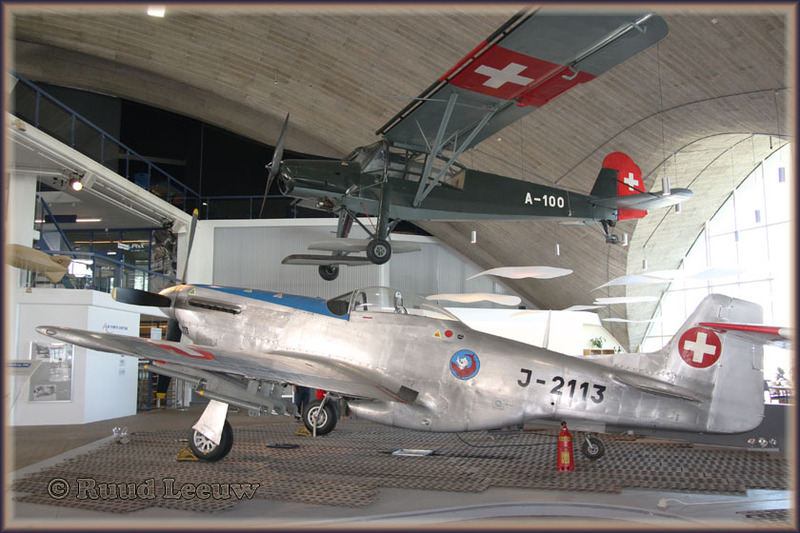 On the 30Apr47 USAAF in Europe census (probably stored). 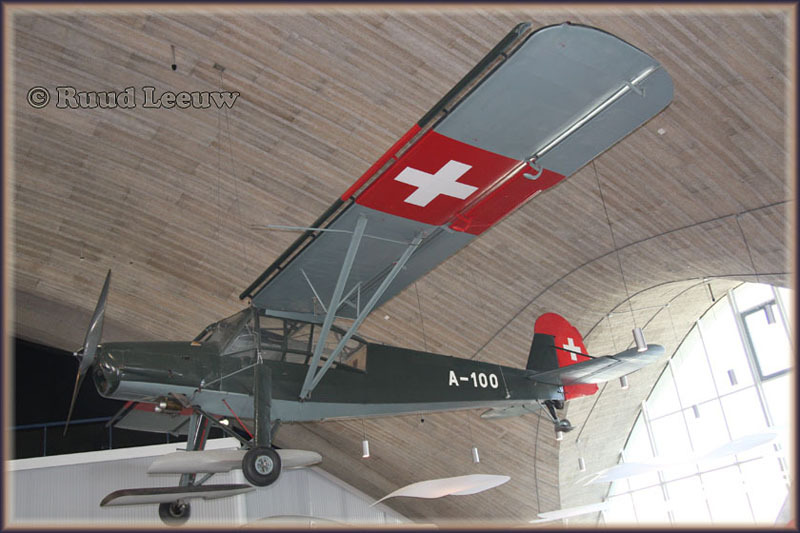 To Foreign Liquidation Commission (FLC), to Aland Braithwaite, Hotel Plaza-Athenee, Paris on 15Jul48 registered as NC79848. 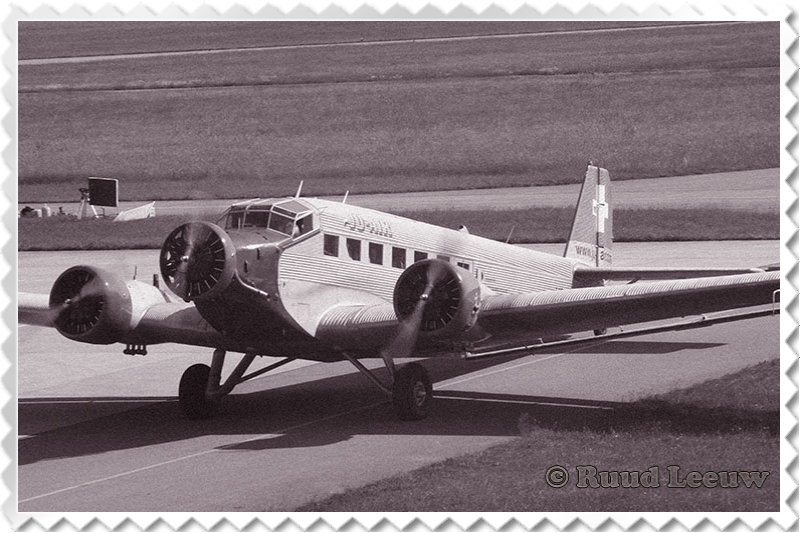 Modified to C18S, with a Beech civil conversion kit, on 06Aug48 by Airwork General Trading Co. Ltd., Heston, UK. 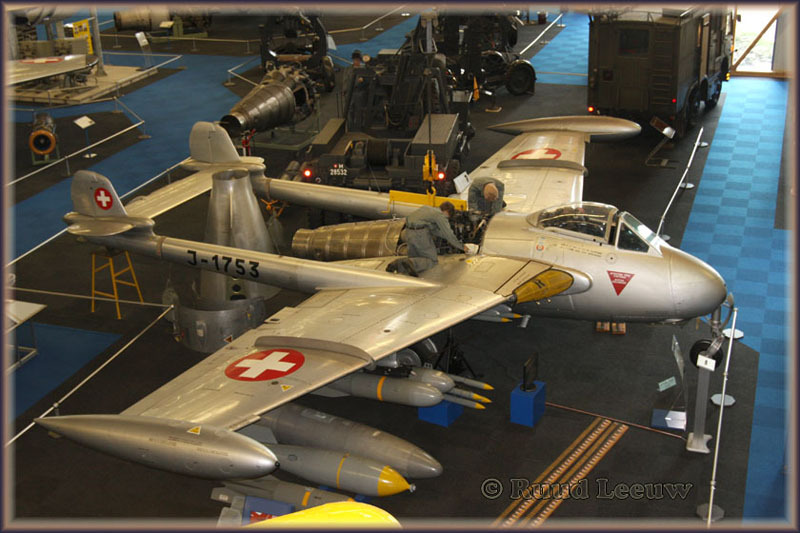 Completely overhauled by them on 19Aug49. 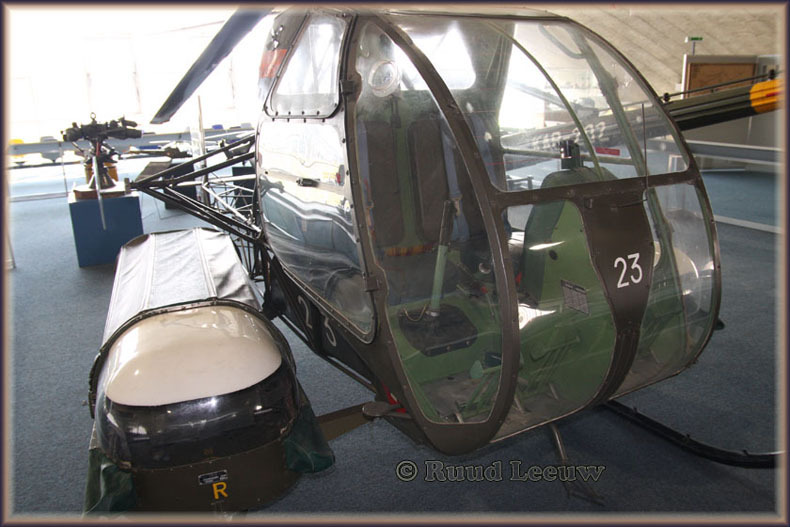 Rene S. McCall, Charlotte, NC on 19Mar51 as N79848 for $15,000. 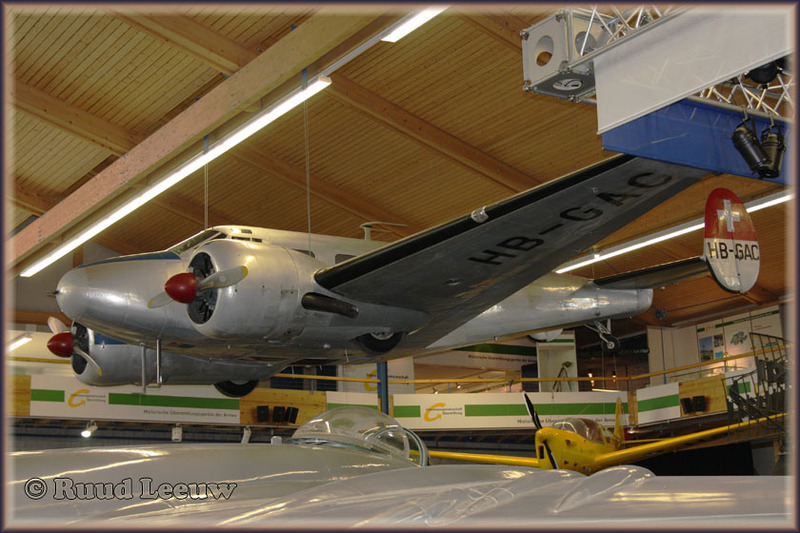 Bought by Swedish national 17May51, it was cancelled by CAA on 18May51 as exported to Sweden. 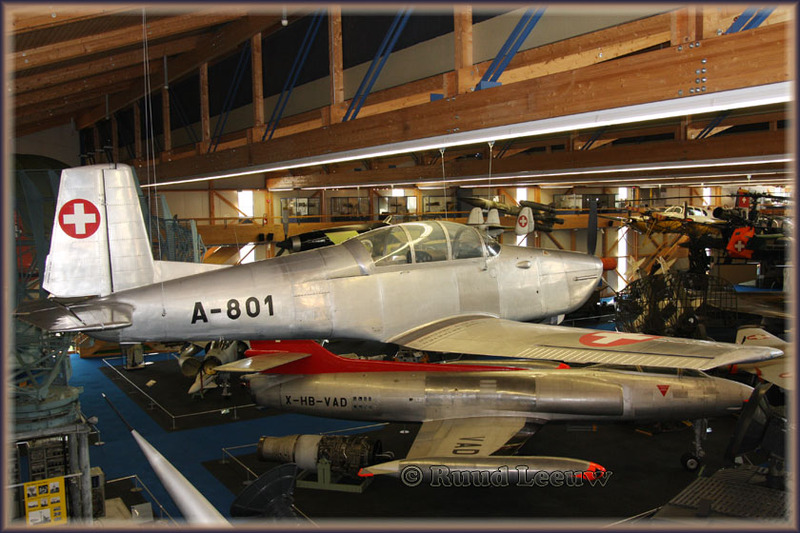 Reg’d SE-BTS 29Jun51 to AB Kvallstidningen Expressen, Stockholm for newspaper distribution & executive flights. Registration canx 29Jan52. 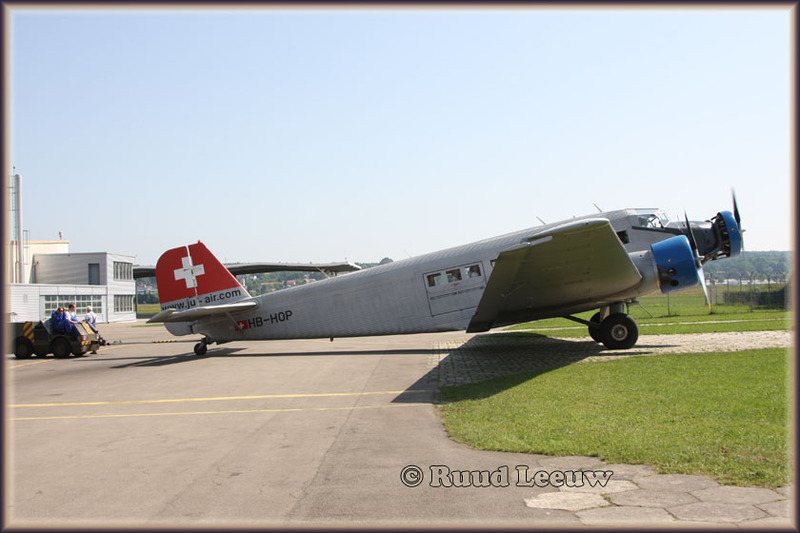 Swiss Air Force as B-8 ‘52 to ‘57. 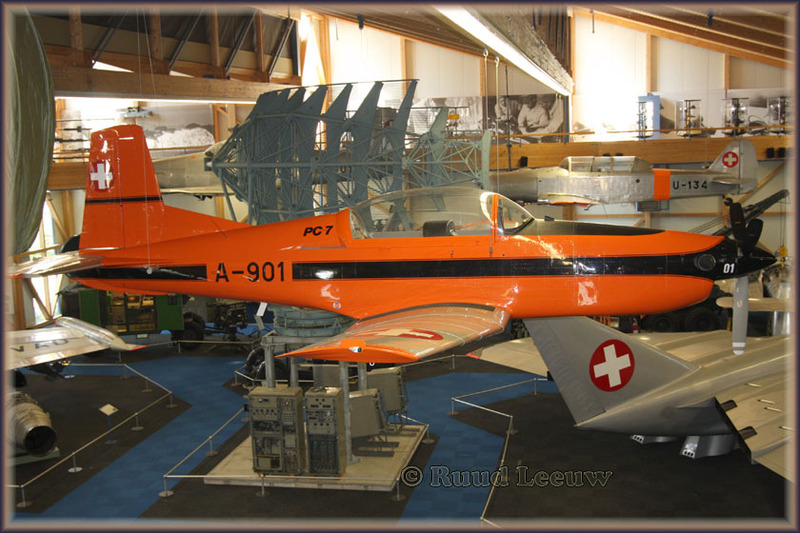 Swiss Federal Air Office for National Topography as HB-GAC May57 and jointly operated with the Swiss Air Force. 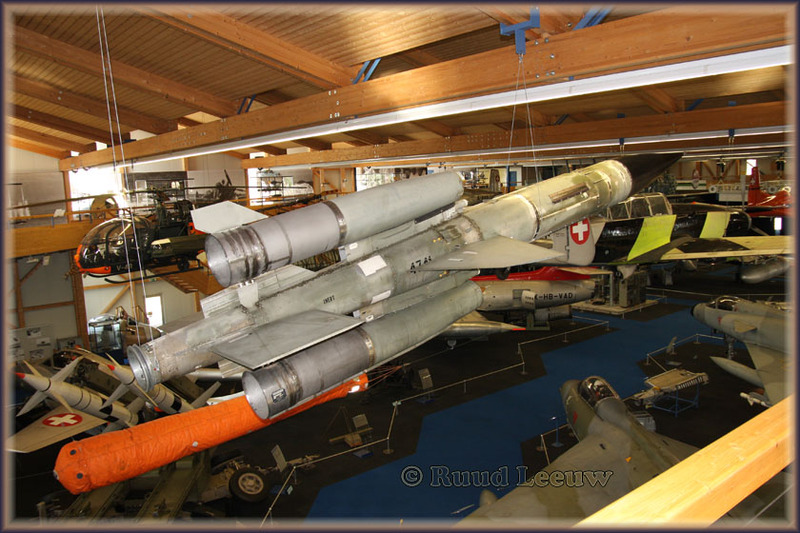 Sold as scrap to Berner AG, St. Gall in 1969 for use in a playground (didn’t happen). 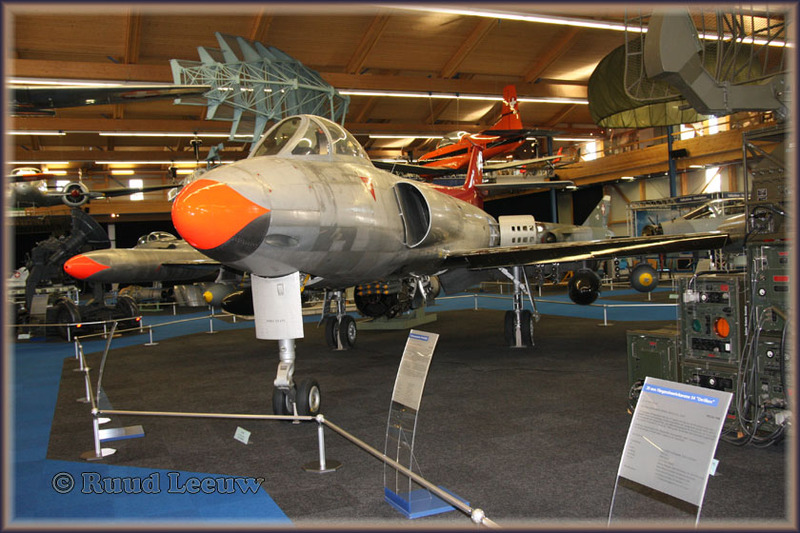 Sold in Jul72 to Honcoop Trading Co, Veen, Holland who sold it to O. Trottman, Zurich. 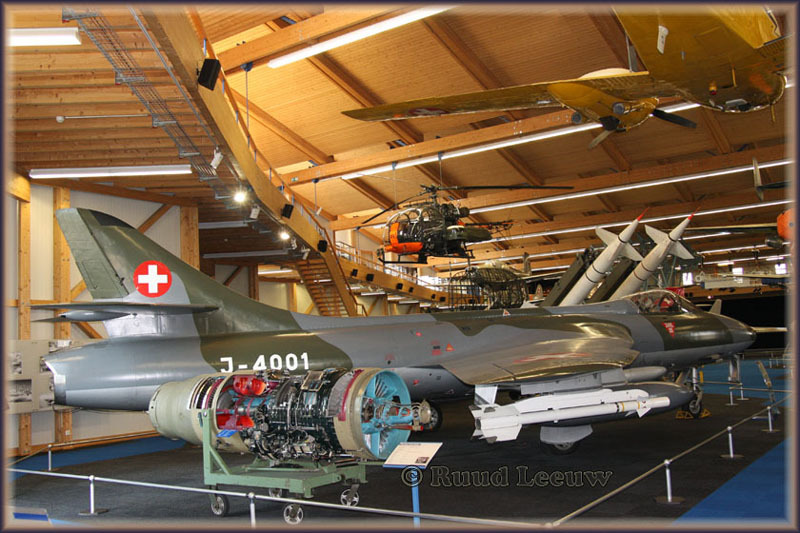 Was rebuilt in 1972 and based in Berne in ‘74. 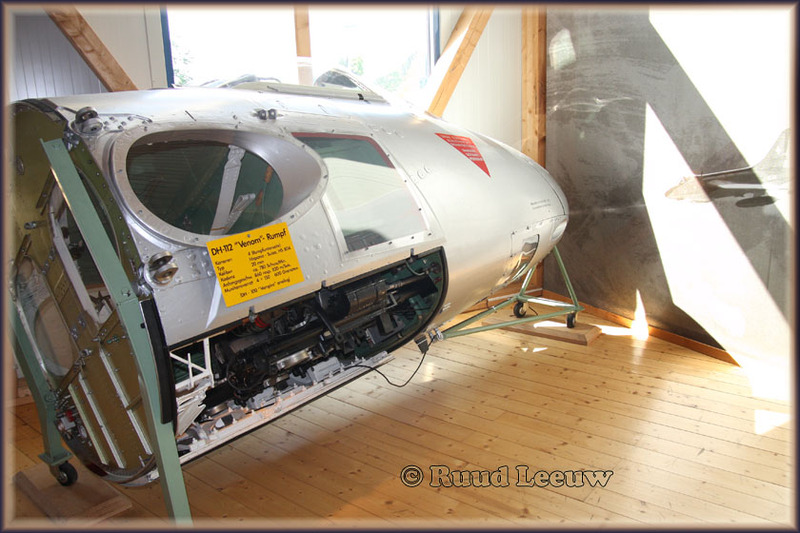 Donated to the the Swiss Transportation Museum in ‘80. 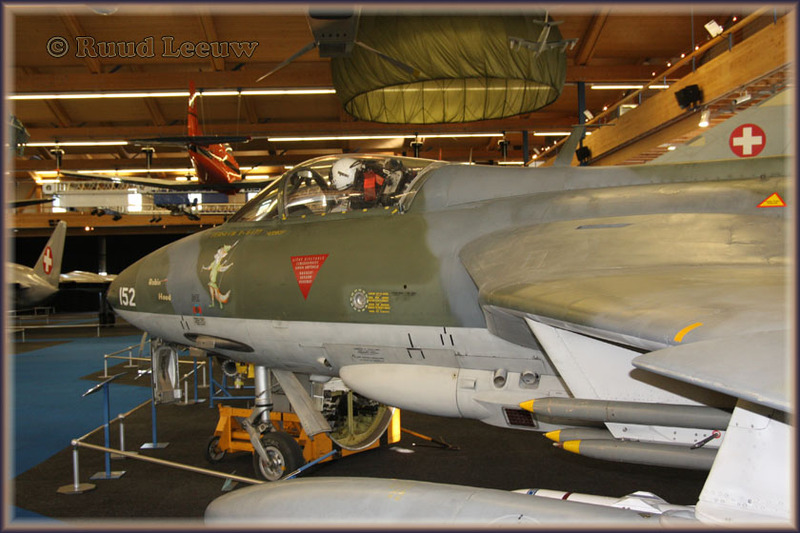 Still there in 2010. 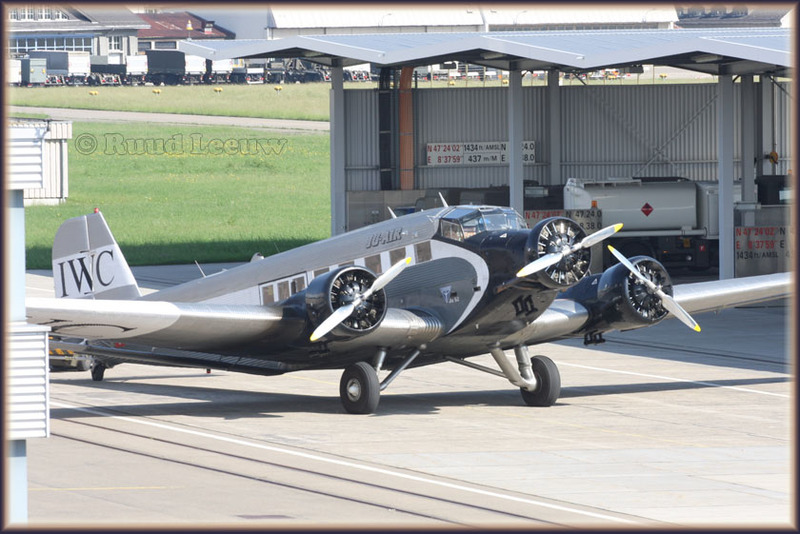 Source(s): FAA file for NC79848, AAF aircraft record card and several other sources. 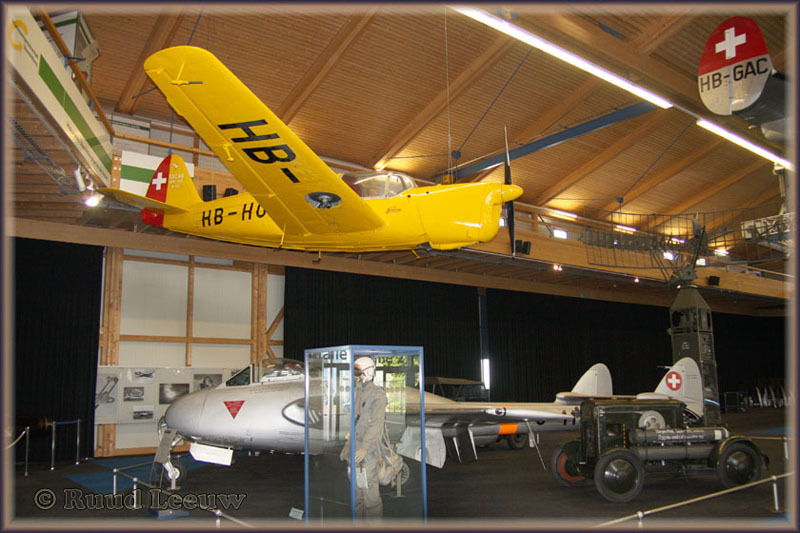 I'm not sure what the Museum quotes for a c/n but can't seem to find a contact for the Museum..."
"I just visited the museum and the Beech in Dubendorf, Switzerland yesterday! 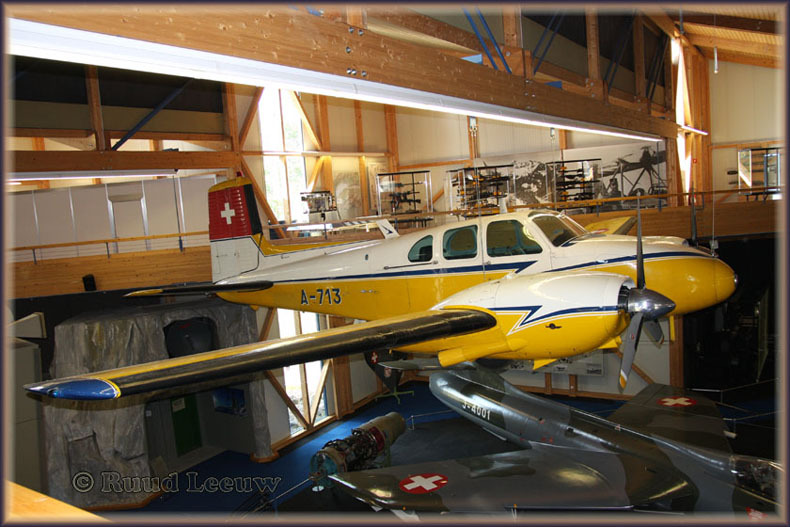 I was told that this Beech has significant history in Swiss Aviation, as the photos taken from it were instrumental in the aerial mapping of the Alps. 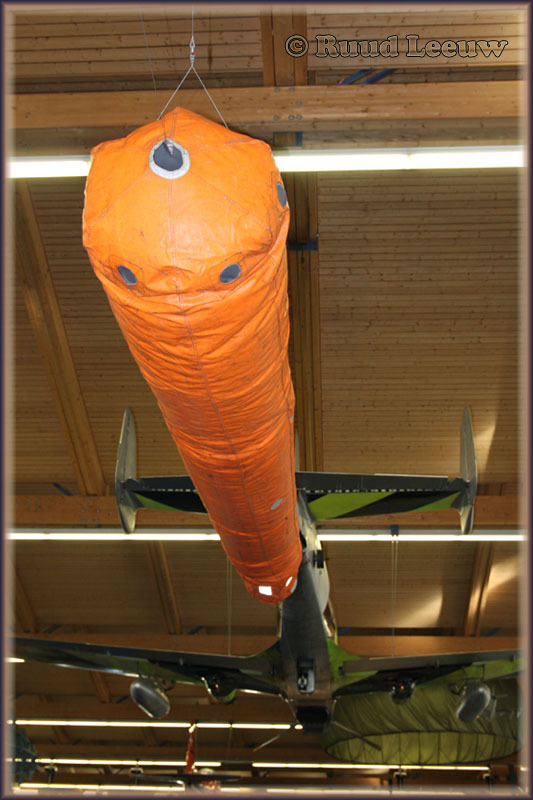 It is a great looking stock 'C'-model Beech and is complete with 2D30 counterweight non feathering props, spinners and even desert air filters. 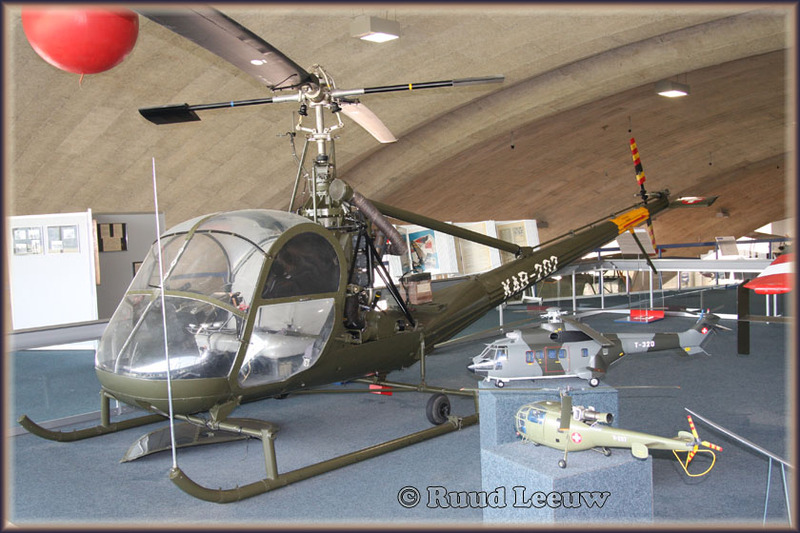 The airframe has interesting modifications, including a large camera and view port mounted in the aft cabin that shoots straight downward. 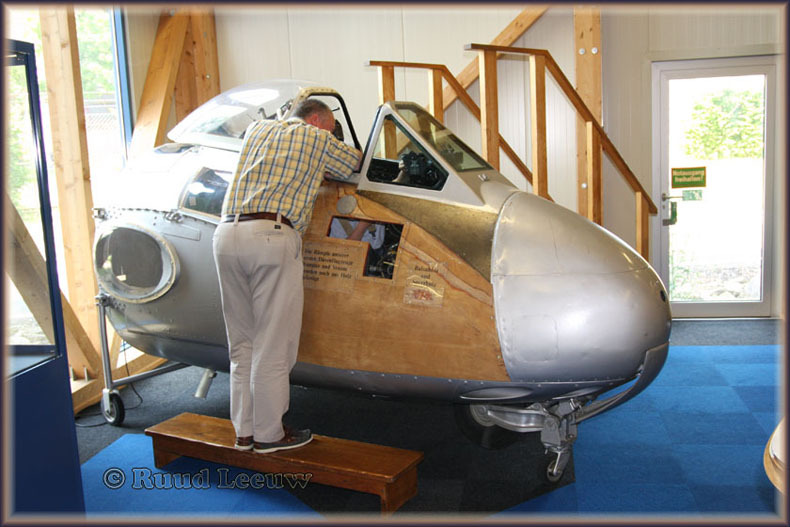 The right side escape hatch looks to have been converted to a full window. 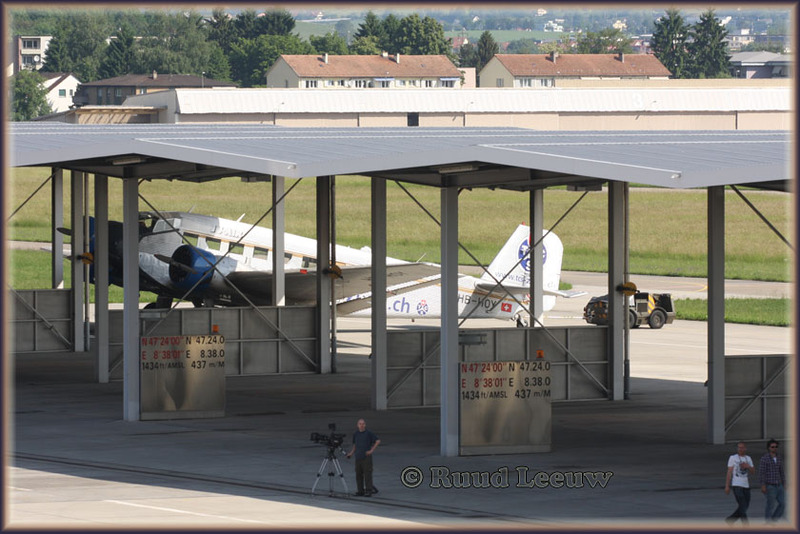 There is a rectangular opening in the main cabin door presumably for oblique shots similar to the SNB-5P/RC-45J." 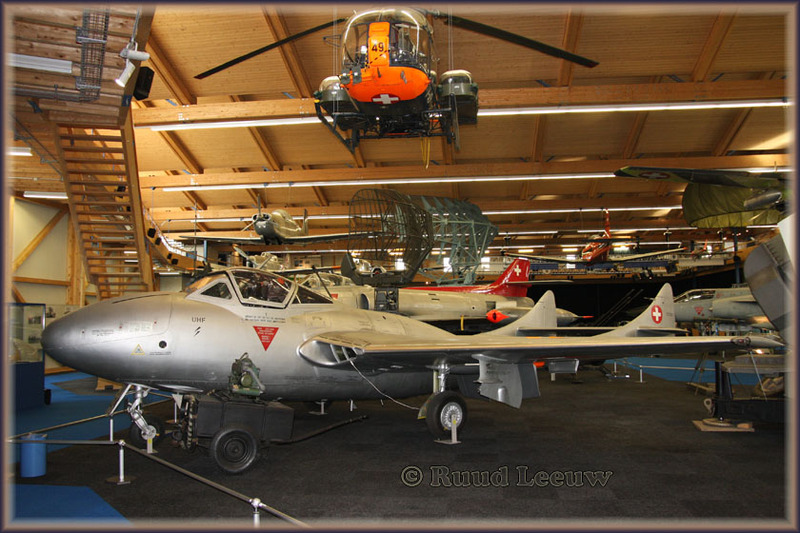 The de Havilland DH.112 Venom was a British postwar single-engined jet aircraft developed from the de Havilland Vampire. 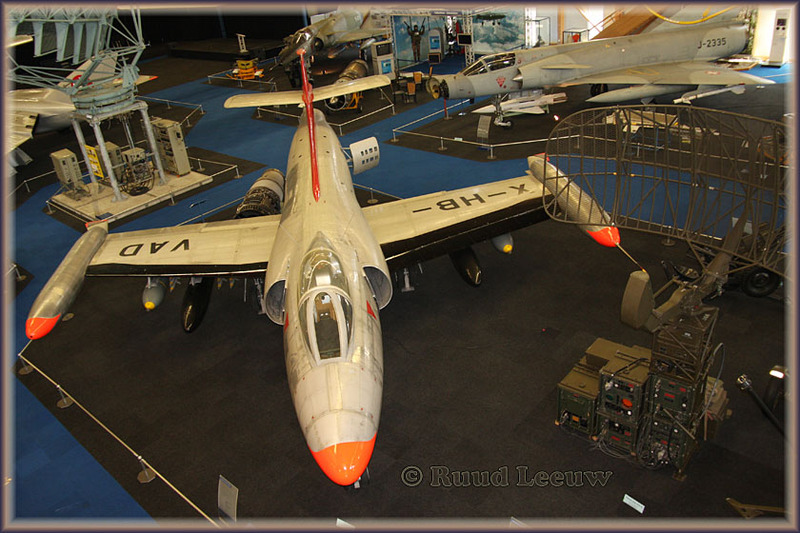 It served with the Royal Air Force as a single-seat fighter-bomber and two-seat night fighter. 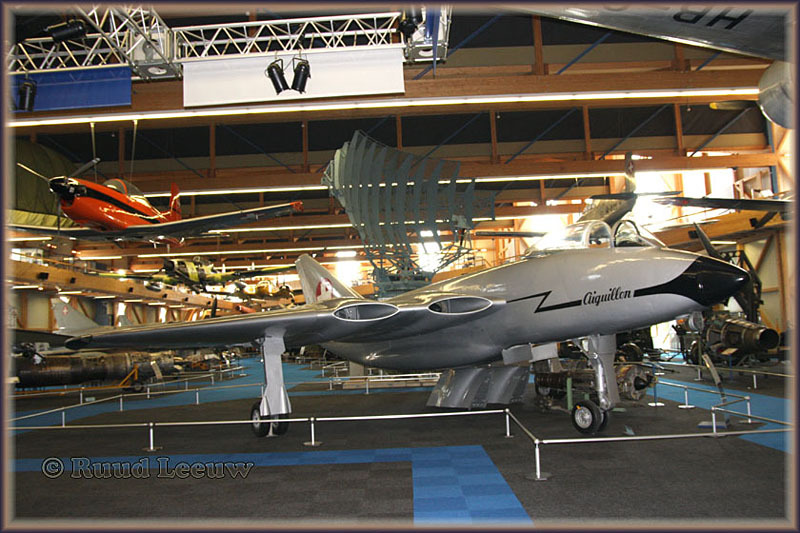 In the 1950s, FFA developed two jet fighters, the N-20 'Aiguillon' and the P-16. 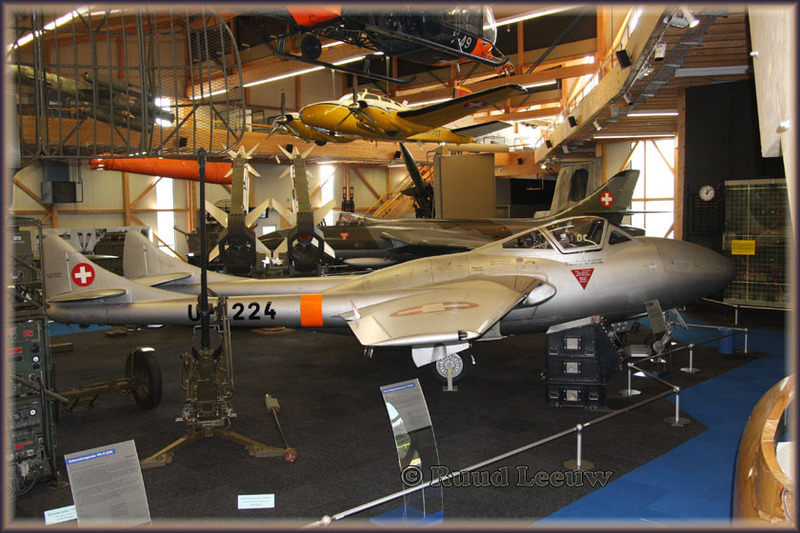 The N-20 was cancelled after its first flight in 1951. 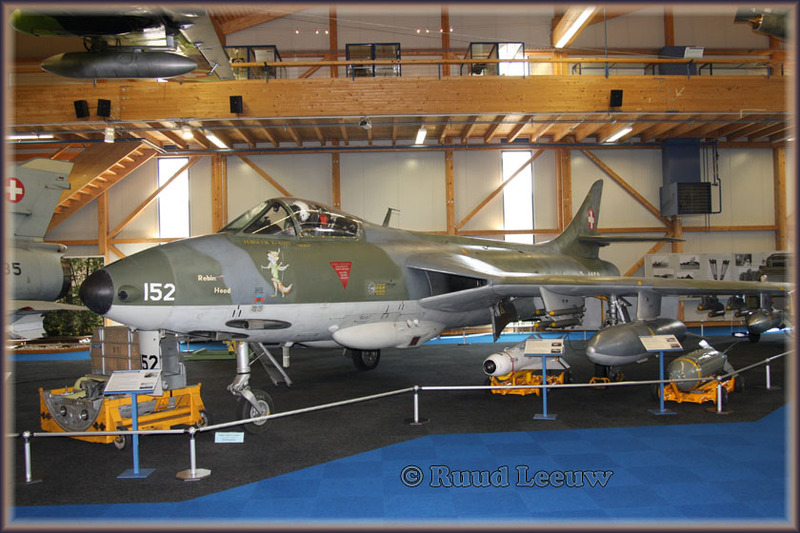 The P-16 project, while promising, was cancelled after two crashes, and Hawker Hunters were bought instead. 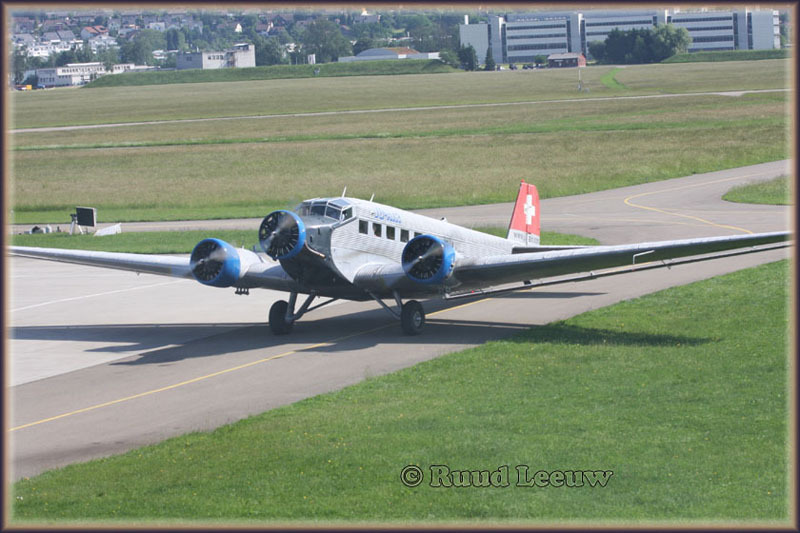 I was pleasantly surprised to see Ju.52/3mg3e HB-HOP, of Ju-Air, arrive from a scenic flight! 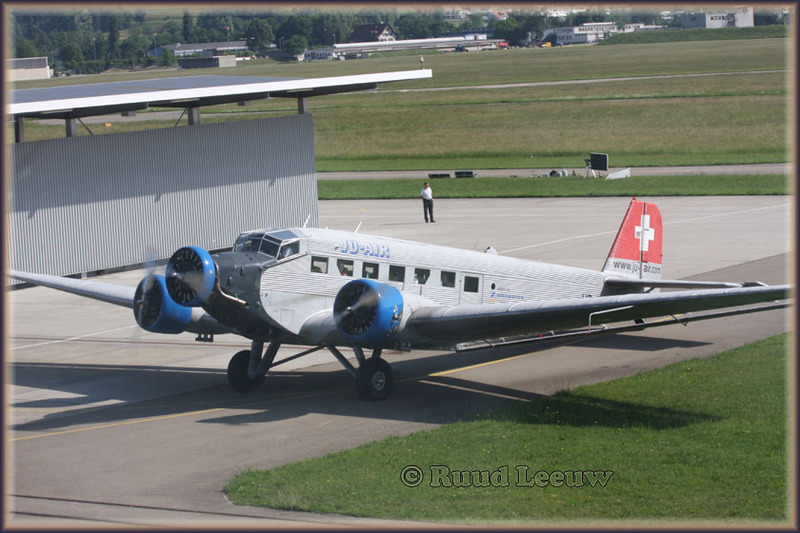 It made 2 more flights (at least) that beautiful sunny day and I was allowed on the ramp to photograph its second arrival (all I had time for on this occasion). 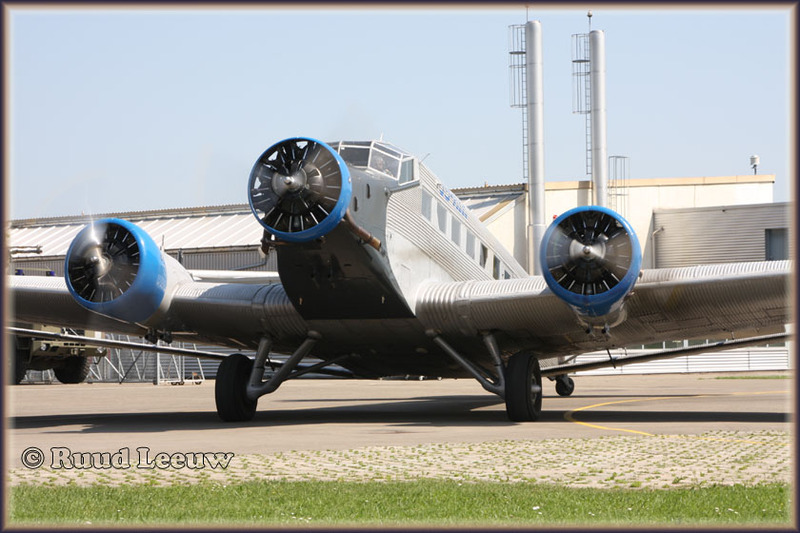 The Junkers Ju 52 (nicknamed 'Tante Ju' - 'Auntie Ju' - and 'Iron Annie') was a German transport aircraft manufactured from 1932 to 1945. 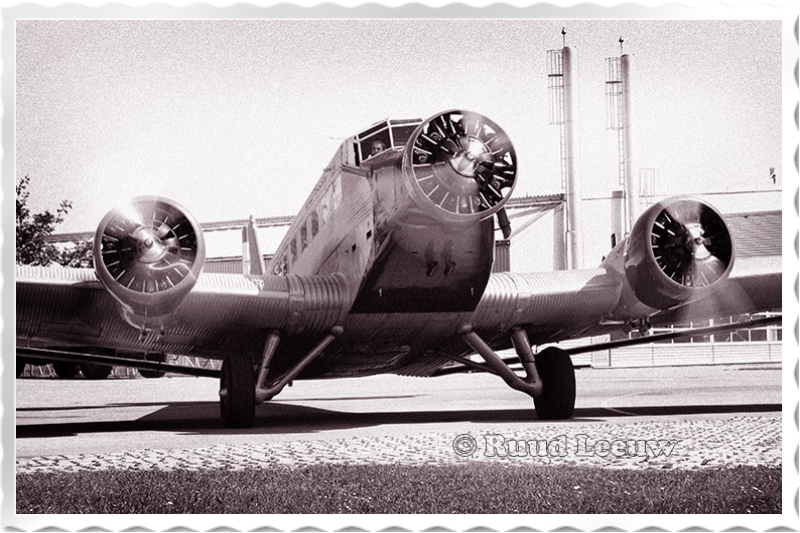 It saw both civilian and military service during the 1930s and 1940s. 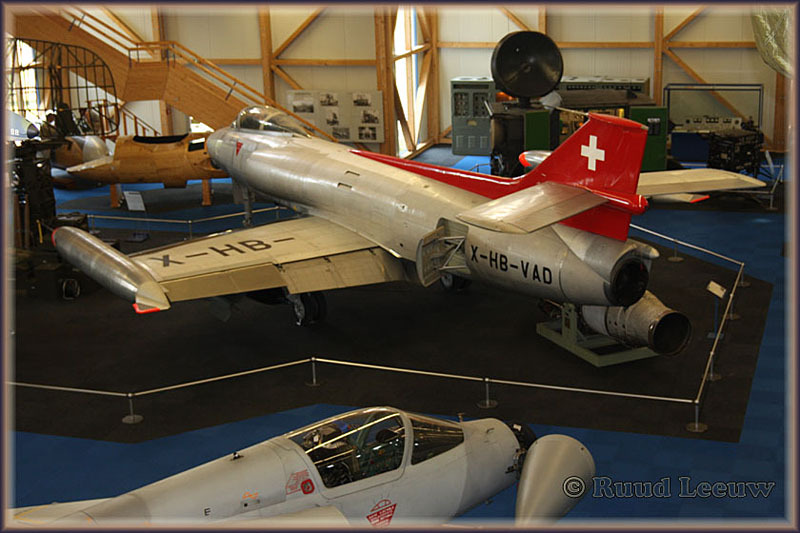 In a civilian role, it flew with over 12 air carriers including Swissair and Lufthansa as an airliner and freight hauler. 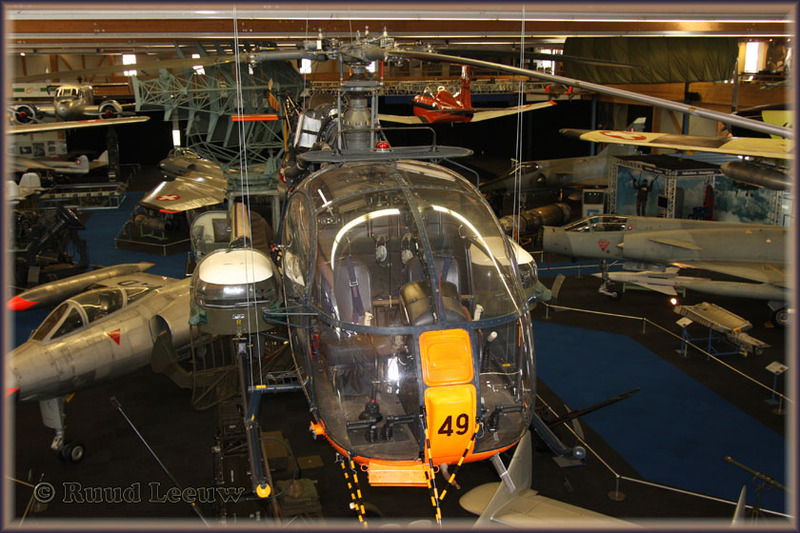 HB-HOY is due for retirement in 2012, so it seems they cannot be made to fly indefinitely: let us enjoy while we can! 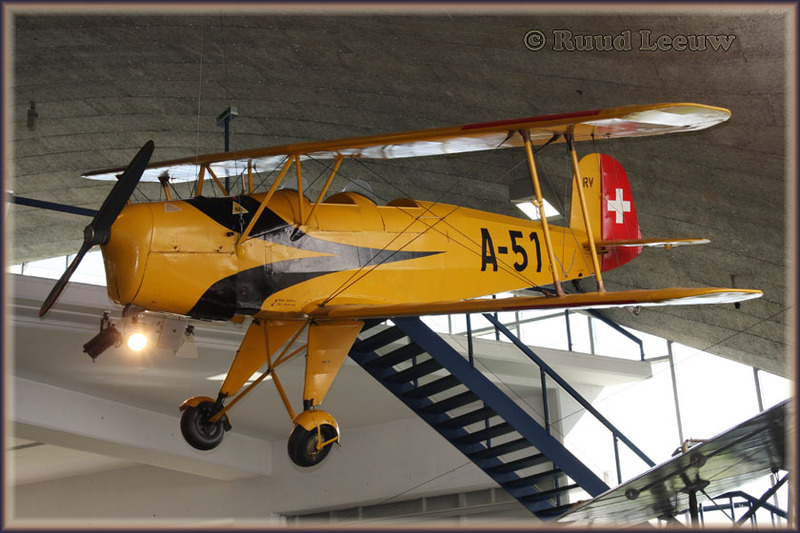 crashed near Piz Segnas, Switzerland, while en route from Locarno to Dübendorf. 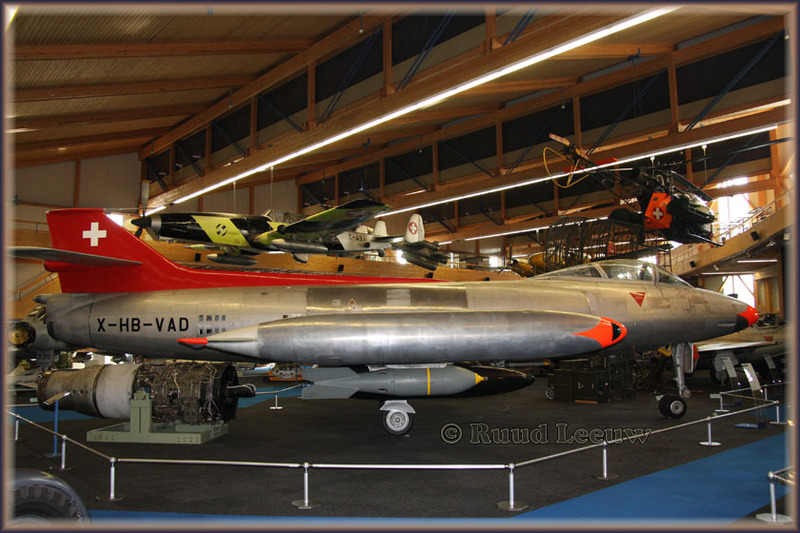 All on board were killed.